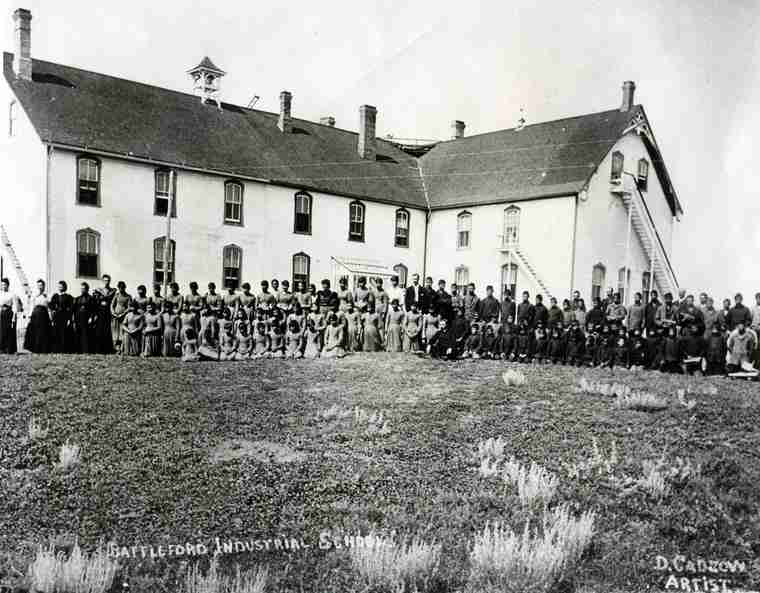 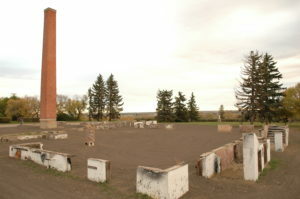 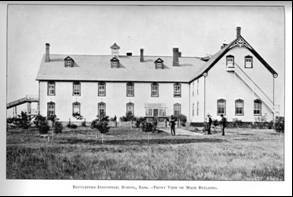 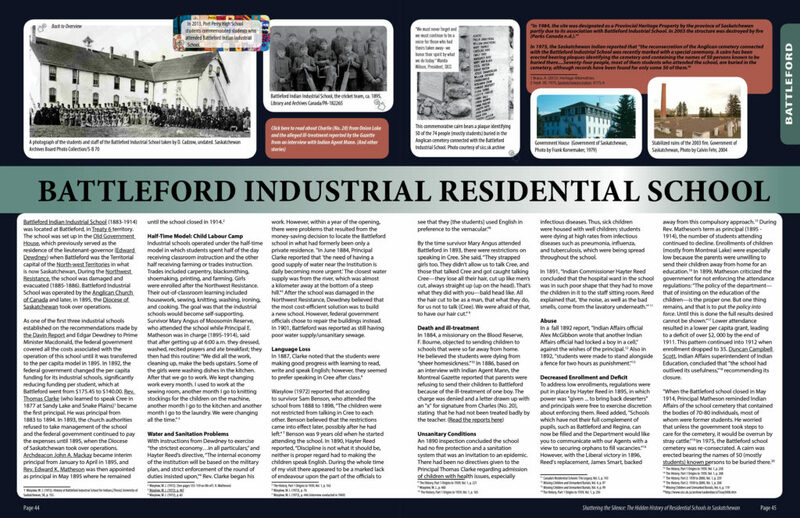 Battleford Indian Industrial School (1883-1914) was located at Battleford, on Treaty 6 land. 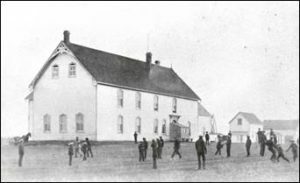 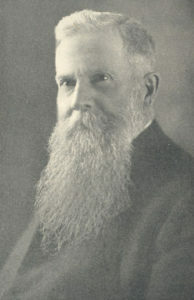 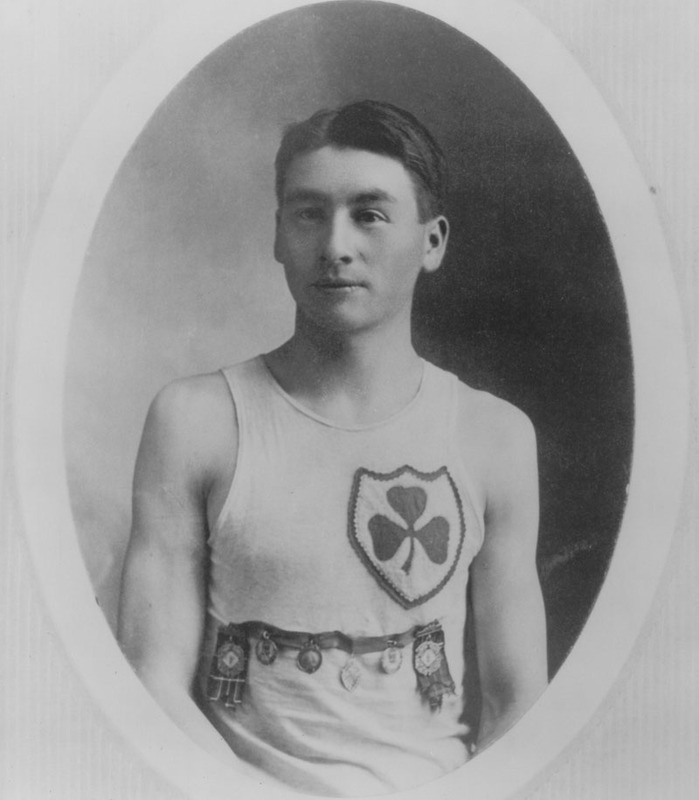 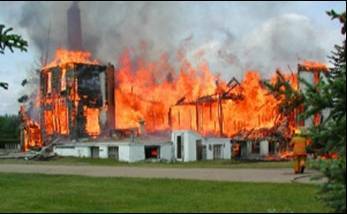 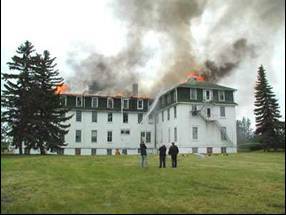 The school was set up in the Old Government House, which previously served as the residence of the lieutenant-governor (Edward Dewdney) when Battleford was the Territorial capital of the North-west Territories in what is now Saskatchewan. 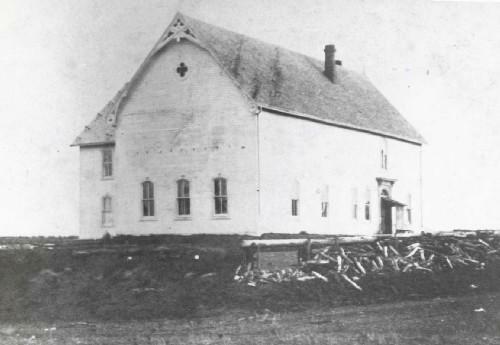 During the Northwest Resistance, the school was damaged and evacuated (1885-1886). 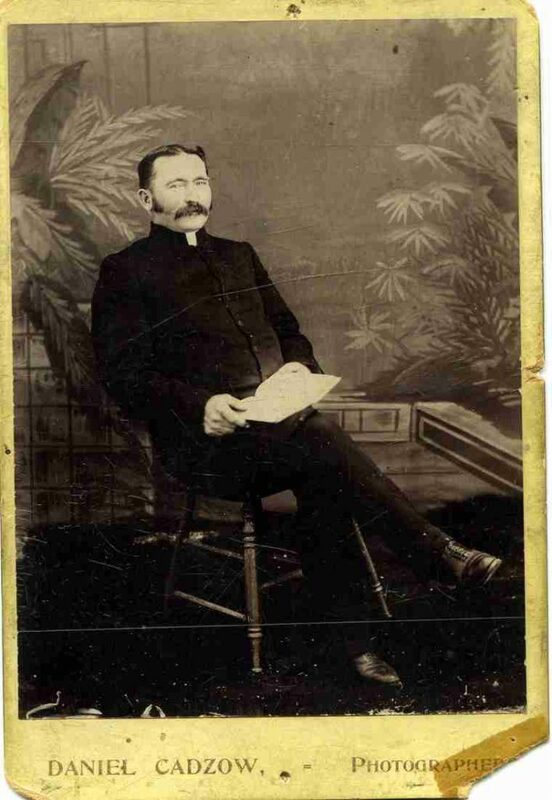 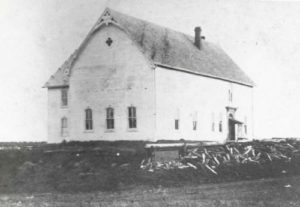 Battleford Industrial School was operated by the Anglican Church of Canada and later, in 1895, the Diocese of Saskatchewan took over operations. 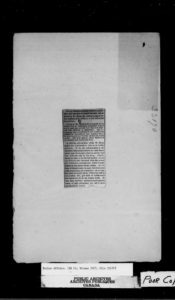 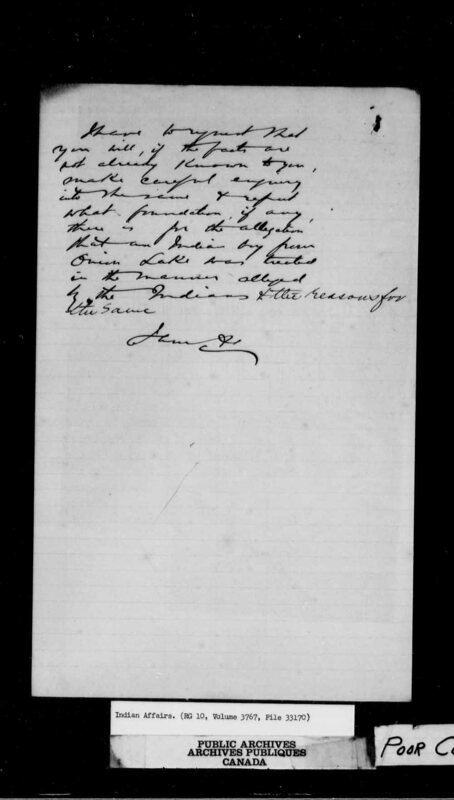 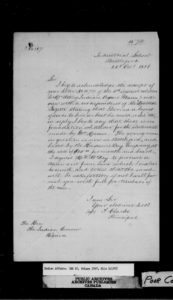 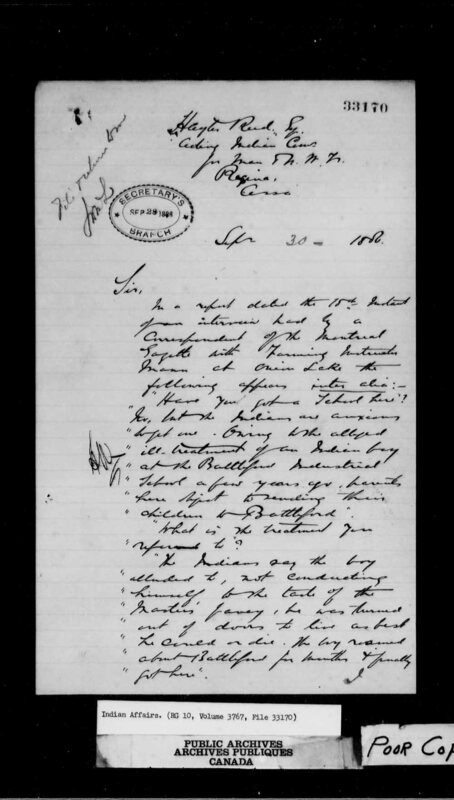 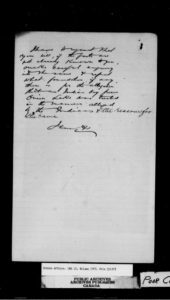 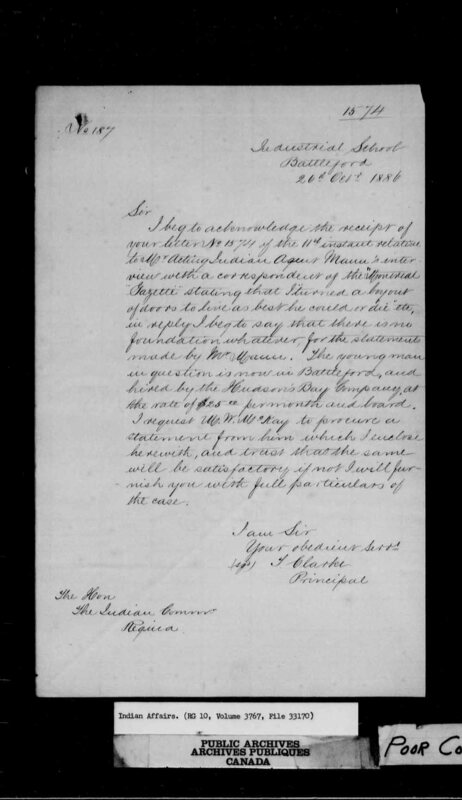 I have to request that you will, if the facts are not already known to you, make careful inquiry into the [—] and refute what foundation, if any there is for the allegation that an Indian boy from Onion Lake was treated in the manner alleged by the Indians and the reasons for the same. “Have you got a school here?”: No, but the Indians are anxious to get one. 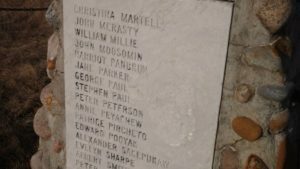 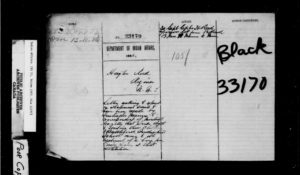 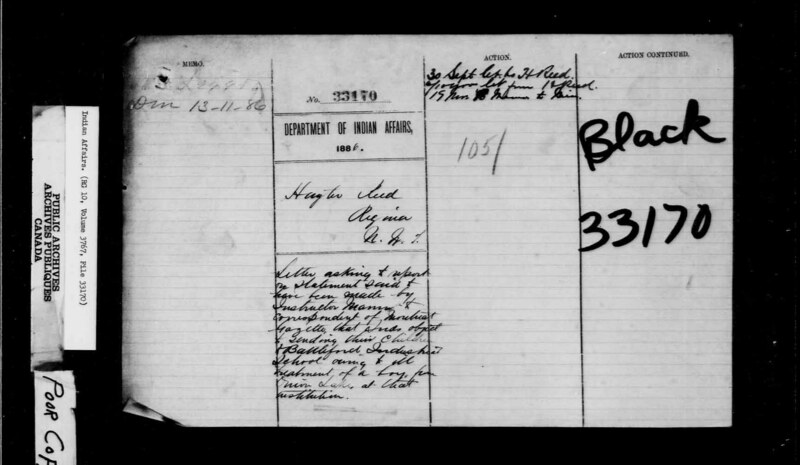 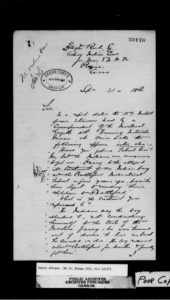 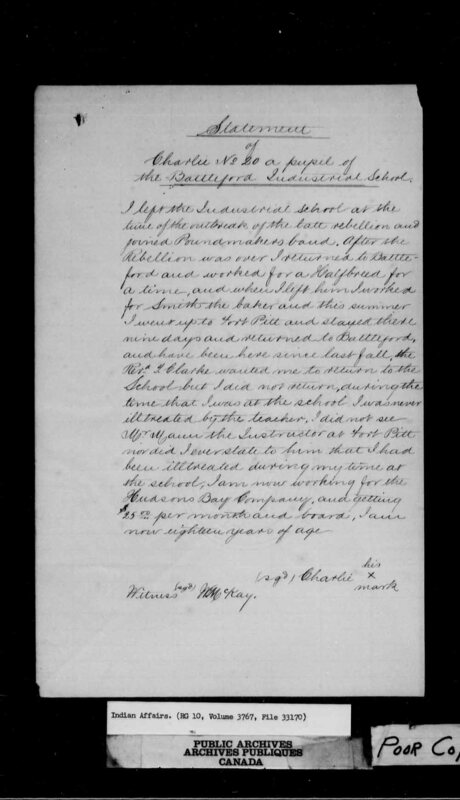 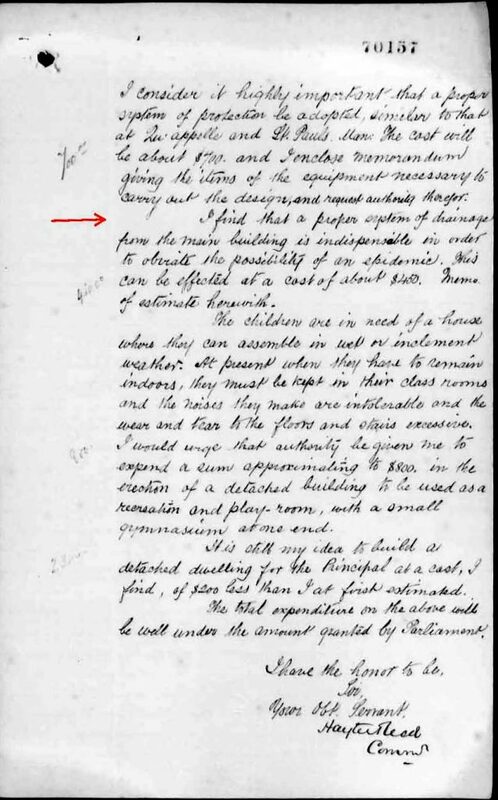 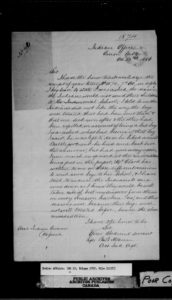 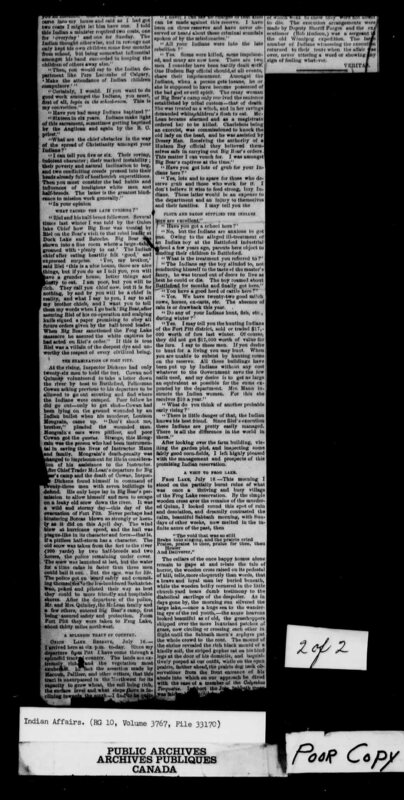 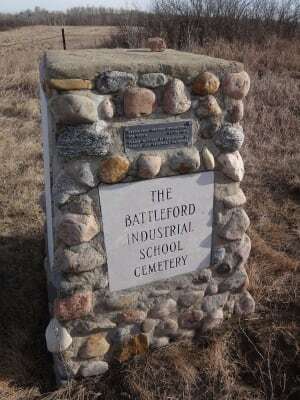 Owing to the alleged ill-treatment of an Indian boy at the Battleford Industrial school a few years ago, parents here object to sending their children to Battleford. …It will be noticed that while Mr. Mann makes the statement he does so on Indian authority. 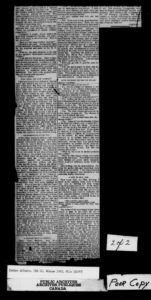 If we are not mistaken in the identity of the youth referred to–and we are pretty sure we are not–there is another and very different side to the story. 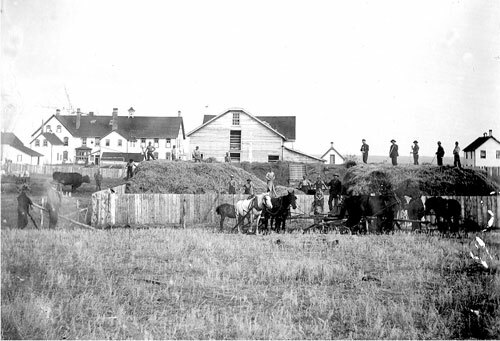 Charlie, whom we take to be the lad spoken of, was one of those who deserted from the school just before the outbreak and joined Poundmaker in his picnic on the plains. At the time of the surrender he came into town and took employment as a teamster–an occupation that he might yet be following had he not, Indian like, got tired of steady work and wandered off to his former home. 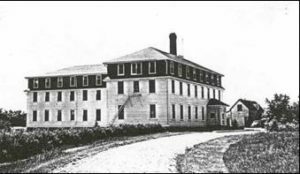 He was then between seventeen and eighteen years of age–altogether too old to enter the Industrial School. 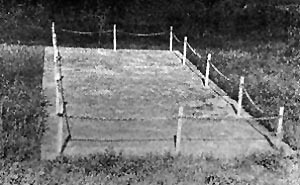 Poor drainage – risk of epidemic.